Illinois has become one of the first states nationwide to establish wide-ranging law enforcement rules for body cameras, bias-free policing and more data collection on arrests under a measure signed into law Wednesday by Gov. Bruce Rauner. The plan beefs up reporting guidelines for officers making pedestrian stops and arrests, largely prohibits chokeholds and adds guidelines for training to help officers become aware of bias and cultural competency. The new law doesn't mandate body cameras, but does specify how they should be worn, when they have to be turned on and how long recorded videos should be kept. 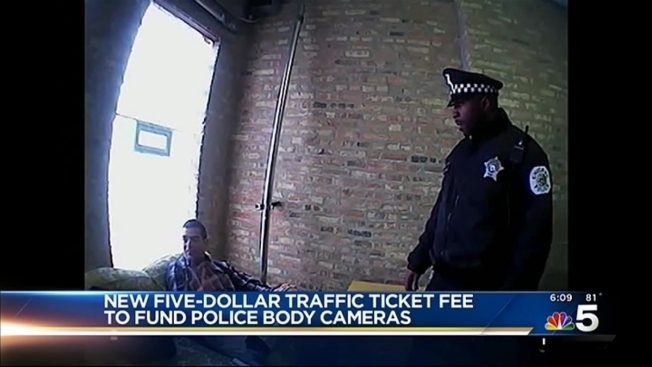 Illinois would help departments pay for the cameras and training for officers with grants funded by a $5 increase in traffic tickets. "We are taking steps to strengthen the relationship between our law enforcement officers and the public they protect," Rauner, who signed the bill in private, said in a statement. "It will have a lasting and positive impact on the people of Illinois." Dozens of U.S. states have passed police reform measures in the wake of two fatal police encounters last year: the shooting death of an unarmed black 18-year-old by a white officer in Ferguson, Missouri, and the death of a black man in New York who died after being placed in a white officer's chokehold. But only three states — Illinois, Colorado and Connecticut — have approved comprehensive plans, according to a recent Associated Press analysis. Supporters said the Illinois law could be a model for other states as police practices come under heightened scrutiny. The Illinois measure had strong bipartisan support as well as backing from police unions, the American Civil Liberties Union and the NAACP. Members of those groups attended a closed-to-reporters bill signing at Rauner's state Capitol office. The legislation takes recommendations offered by President Barack Obama's police task force. State Sen. Kwame Raoul, a Chicago Democrat, was one of the bill sponsors. "Illinois has set the standard, set the standard nationally," he said at a news conference in Springfield. The law, which fully takes effect in January 2016, also calls for independent reviews of all police-involved deaths and creates a database to help track officers dismissed for misconduct. Effective immediately is the forming of a commission that will review training requirements and other issues and report to legislators and the governor by the end of January.